Topic in accord with Seedea:Research/Research and recommended by Dolaur during MBE03. "The Greeks were so committed to ideas as supernatural forces that they created an entire group of goddesses, not one but nine, to represent creative power. These nine goddesses, or muses, were the recipients of prayers from writers, engineers, and musicians." "Any seemingly grand idea can be divided into an infinite series of smaller, previously known ideas." "unlike a puzzle, the universe of ideas can be combined in an infinite number of ways, so part of the challenge of innovation is coming up with the problem to solve, not just its solution. 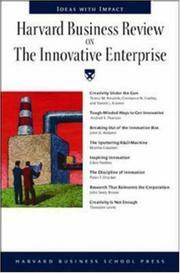 The pieces used to innovate one day can be reused and reapplied to innovate again, only to solve a different problem." "Some workaholic innovators tweak this [breaks with which the change of activity pays of] by working on multiple projects at the same time, effectively using work on one project as a break from the other." "Edison, Darwin, da Vinci, Michelangelo, and van Gogh all regularly switched between different projects, occasionally in different fields, possibly accelerating an exchange of ideas and seeding their minds for new insights." "The big ideas are a small part of the process of true innovation." "we're biased by what we can't see." like the survival bias described in Quantitative Trading or even evolution in general, when we consider phylogenies mainly thanks to what "succeed"
"Without at least imagining the missing dimensions to the stories, our view of how to make things happen in the present is seriously compromised." "there's no greater dispelworthy myth in the history of innovation than the idea that progress happens in a straight line." Figure 2-5 "The tree of competing innovations" and Figure 2-6 "At best, timelines show only one path of the full tree of innovation history"
"Innovating comes at a price: it might be money, time, sanity, friends, or marriages, but there will definitely be one." quoting Paul C. Lauterbur "you can write the entire history of science in the last 50 years in terms of papers rejected by Science or Nature." "We confuse truly new ideas with good ideas that have already been proven, which just happen to be new to us." "[Innovation] asks for faith in something unknown over something known to be safe, or even pleasant." quoting Howard Aiken "Don't worry about people stealing an idea. If it's original, you will have to ram it down their throats." "Each [innovation] is made up of threads and relationships that don't separate easily or yield simple answers." 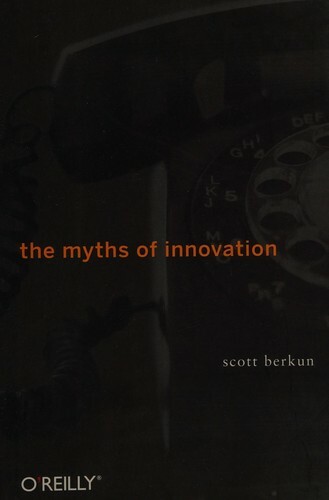 "[Simultaneous invention is] common because innovations demand prerequisite knowledge"
"Wise innovators—driven by passion more than ego—initiate partnerships, collaborations, and humble studies of the past, raising their odds against the timeless challenges of innovation." "The difference between creatives and others is more attitude and experience than nature." "Our unique advantage on this planet is the inventive capacity of our minds." "We reward conformance of mind, not independent thought, in our systems—from school to college to the workplace to the home—yet we wonder why so few are willing to take creative risks." cf Understanding Power by Noam Chomsky, 2002, page236 : "if he got a C in a course, nobody cared, but if he went to school three minutes late he was sent to the principal's office -and that generalized. 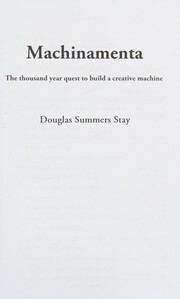 He realized that what it meant is, what's valued here is the ability to work on an assembly line, even if it's an intellectual assembly line"
"Filmmakers, painters, inventors, and entrepreneurs describe their work as a search: they explore the unknown hoping to find new things worth bringing to the world." "Talent is only as good as the environment it's in." "Too much idealism, and the work never ships—not enough, and little change is brought to the world." 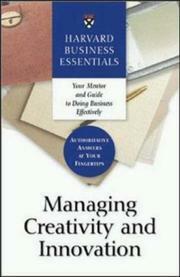 "The difference between success and failure is most often relentlessness, not talent or charisma (though those help). " Steve Jobs "I'm convinced that about half of what separates the successful entrepreneurs from the non-successful ones is pure perseverance. Persuasion is a skill; if sufficiently motivated, anyone can improve." "Looking at history, here are seven factors that play major roles:"
"the most successful innovations are not the most valuable or the best ideas, but the ones that appear on the sweet spot between what's good from the expert's perspective, and what can be easily adopted, given the uncertainties of all the secondary factors combined. " "Discovering problems actually requires just as much creativity as discovering solutions." "He carried it around with him to all his meetings, pretending to use it as if it were the finished product." 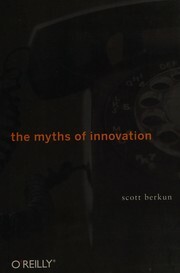 "In his words, <<An essential part of innovation is to envision the new product or service. You have to use it and experience it before it is designed and built.>>"
"while serendipity has a starring role in innovation, it's what people do with the chance encounter that matters, and not the chance discovery itself." "This is an essential paradox of innovation: no one knows, not even the inventors, how their creations will impact the world until they are used."